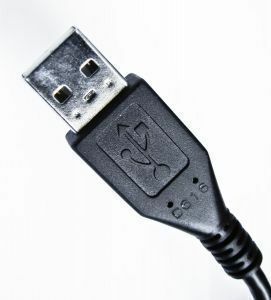 USB is an external hardware interface and communication standard used for connecting varied peripherals to a computer. These peripherals include mice, keyboards, scanners, digital cameras, mobile phones, printers, digital audio players, external hard drives, memory sticks, gaming peripherals and so on. It supports plug and play installation and hot plugging. USB has almost entirely replaced the usage of serial and parallel ports. USB stands for “Universal Serial Bus”. Originally released in 1995, USB ports began to appear in newly manufactured computers in 1997. Windows 98 was the first Windows platform to support USB technology. It wasn’t long before the popularity of USB grew to the point where all previous standards of connectivity were replaced. Today’s computers typically come with at least four USB ports. USB design was conceptualized and is still maintained by the USB Implementers Forum (USB-IF). USB-IF is a consortium of leading hardware and software companies such as Hewlett Packard, Microsoft, Intel, Apple Inc, IBM, and NEC. The first USB standard: USB 1.0 was launched in 1996 and it had a potential data transfer rate of 12 Mbps. USB 2.0 was launched in 2000 and the data transfer rate was increased to 480 Mbps. USB 3.0 was launched in 2008. Personal computers and laptops typically have 2 to 4 USB ports. Considering the vast number of USB based devices available in the market today, it is advisable to have an USB hub. For example, with a USB hub you can attach your USB printer, USB webcam, USB scanner, USB digital camera and USB cable modem to your computer at the same time. A normal USB hub comes with four additional USB ports, and is recognized as a USB device itself when connected to a USB port on a computer. Some USB hubs have more than four ports. A single USB port can connect more than one hundred interchangeable devices such as modem, keyboard, mouse, joysticks, scanners, printer, digital cameras, and external storage. USB also supports Plug-and-Play installation and allows devices to be hot swapped. 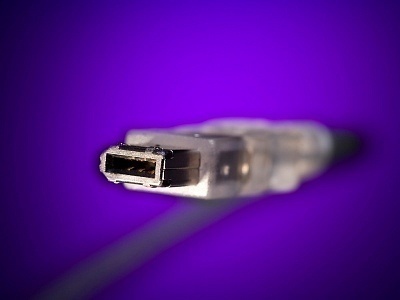 USB has become the standard connection for several devices such as digital cameras and scanners. USB has become the industry standard primarily because all the major manufacturers collectively agreed to use the design and function of this quick connect technology. Some of the notable companies that agreed to implement the USB technology include Intel, Apple, Microsoft, Hewlett-Packard, NEC, and Agere. The current USB version 2.0 was released in 2000. Its backward compatibility feature is one of its greatest advantages. This allows previous versions of USB to conform to newer applications. 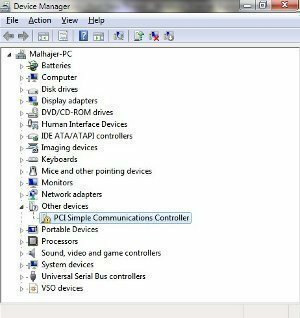 USB allows hardware to be connected without requiring expansion cards to be plugged into the PC’s EISA, ISA, or PCI bus. Devices can be hot swapped by connecting or disconnecting without turning the computer off or rebooting the system. Whenever a new device is plugged into the computer, the host detects and recognizes the device, automatically loading the device driver. The earlier versions of USB, USB 1.0 and USB 1.1, could support data transfer rates up to 12 Mbps. While USB 2.0 Hi Speed (the latest model) operates at 480 Mbps, other devices can utilize the full available bandwidth of USB. Lower speed devices typically utilize a 1.5 Mbps sub-channel. USB Hubs are external devices that increase the number of USB ports a computer can use. A USB Hub generally provides four Type A sockets for expansion. The USB Hub is similar to other USB technology and can be plugged into a USB port on the PC providing supplementary hardware acceptance. USB hubs are sometimes used to extend ports to the top of the desk making it easier for the end user to connect and remove external hardware. USB On-The-Go is a USB extension that allows a single port to react as either a host or a device. This is selected by checking which end of the cable is plugged into the socket on the unit. USB On-The-Go is designed for products like PDA’s where the USB link might connect to a computer’s host port as a device and sometimes connect as a host itself to a mouse and keyboard device. Wireless USB is a new application designed to extend the usability and brand recognition of USB. This new standard also allows backwards compatibility with USB 1.1 and USB 2.0 on the protocol level. Wireless USB is developing as a cable-replacement technology, and will utilize Ultra wide-band wireless technology for data transmission rates up to 480 Mbps. 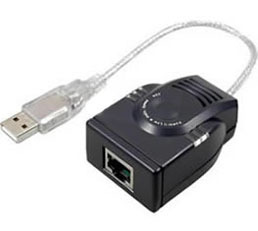 Wireless USB is well suited for wireless connection of certain portable computer devices allowing transfer of data without the use of a cable. In the modern world of transferrable information and interchangeable data, users are able to transport their files from one device to another. With USB data transfers are as easy as plugging a USB flash drive into one computer, copying specific files, and plugging the USB flash drive into another computer. As anything else that contains information, however, USB flash drives are not invulnerable to security threats. To counter these threats, users must be careful about what kinds of files they put on their USB drives and what devices they connect them to.The ubiquitous use of USB drives and the sensitive nature of data stored/transferred through them has led to the development of various software programs that are able to remove any harmful information that is on a USB flash drive and help protect it against future threats. Device Lock allows computer and network administrators lock out specific peripheral devices such as USB flash drives, printers, cameras, CDs and DVDs, PDAs, and other USB devices. Device Lock can set specific standards by which a device is allowed access. For example, Device Lock can setup a specific type of encryption on approved devices and not allow access to any device that does not include that encryption. Device Lock is good for businesses that are concerned about sensitive information being leaked to the general public or malicious programs being uploaded to the company’s network. USB Disk Security is a portable antivirus software that is able to run from a USB flash drive without being installed. 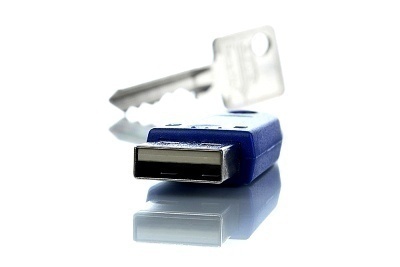 When the USB flash drive is inserted into a computer, USB Disk Security immediately starts blocking threats from contaminating the USB flash drive. Next, USB Disk Security scans the computer in question in order to remove any threats that exist there. USB Disk Security is good for technical support professionals who must combat viruses on many different computers. Safe Stick is a USB flash drive made by BlockMaster Security. Safe Stick uses advanced hardware encryption to automatically safeguard the information that the user places on the drive. Safe Stick allows the user to pick their own password when configuring the device and the password can be managed through Safe Stick’s SafeConsole program so that if the user ever forgets his/her password, all hope is not lost. Safe Stick can be purchased in several different sizes, is easy to use and configure, and can even lock itself, based on the user’s preprogrammed lock timer, if left in a USB port for too long. MyUSBOnly is a program that users can place on their computers in order to block unwanted USB devices from connecting to the computer in question. MyUSBOnly can keep a log of USB connections and the activities that were performed, email the user when an unauthorized USB device is connected to the computer, and set encryption standards so that only pre-approved devices can be connected to the computer. MyUSBOnly also receives free lifetime updates so that the latest software is always available. DESKI USB Security is another program that can block unauthorized USB devices from accessing a computer or computer network. DESKI USB Security can ask for a password when a device is connected to the computer, check the device against a list of pre-approved devices, and log the event. Once the software is installed on one computer, the user has the option of applying the settings to any computer in the network by simply marking the box next to each computer from within the program’s interface. DESKI USB Security runs in the background of the user’s computer and is completely undetectable by potential cyber thieves. Face Book per I.D. Nahi Hay. 129 queries in 0.254 seconds.